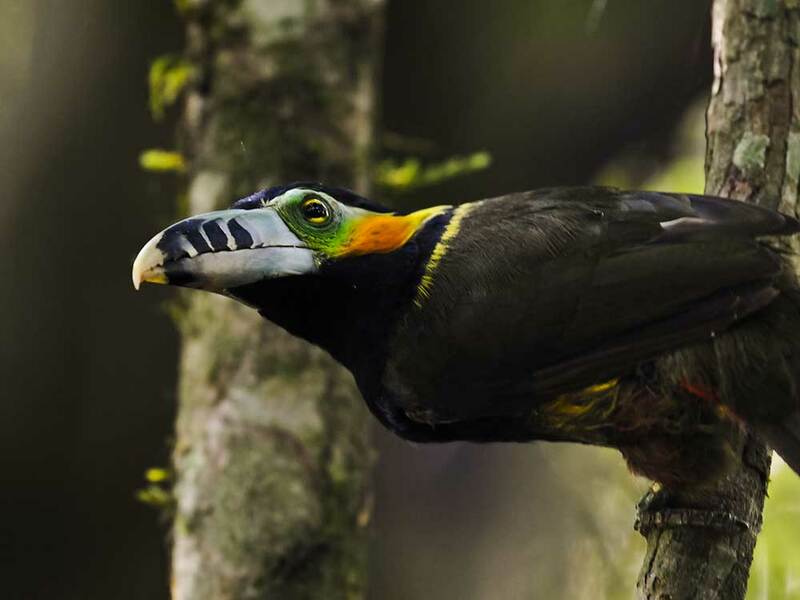 The Interior Atlantic Rainforest offers an important fowl diversity. 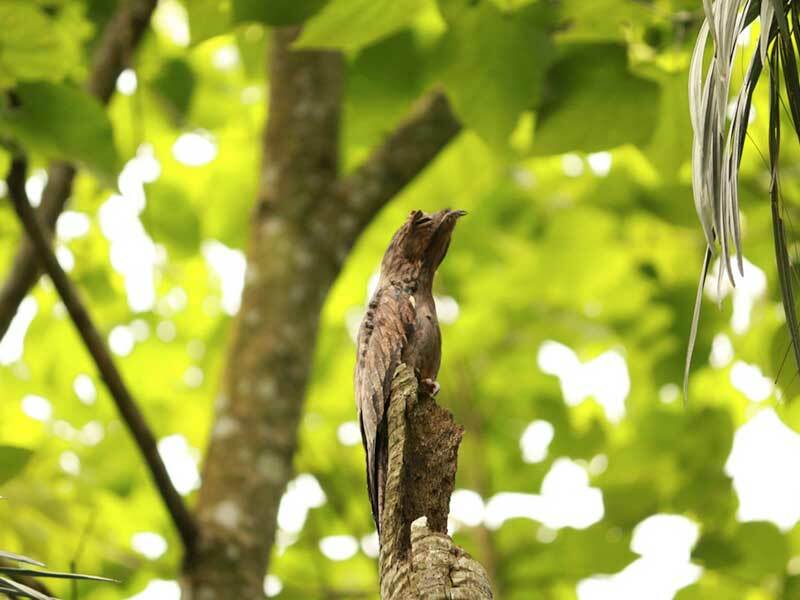 The exiting bird-list of over 320 bird species registered at the exclusive Yacutinga Private Reserve and the comfort of Yacutinga Lodge guarantee a successful bird expedition. 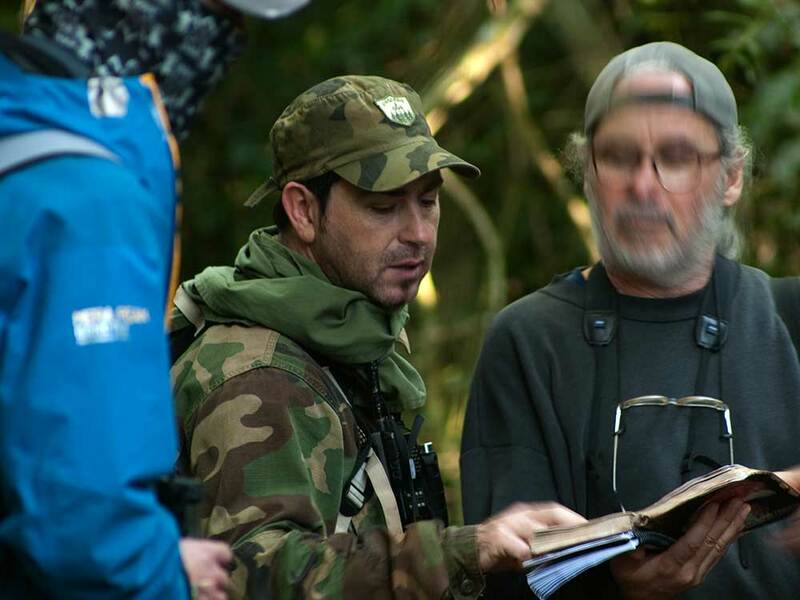 Here is our birding program guided by one of the most well-known ornithologist of the Paranaense area. 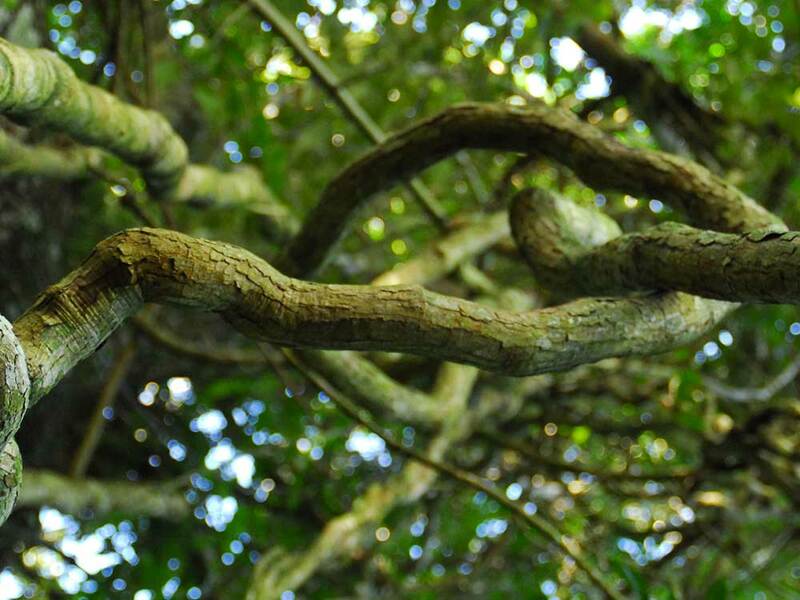 The location of Yacutinga Wildlife Reserve belongs to the phytogeographical area of the Parana Forest. This is one of the most bio-diverse areas in Argentina. The main characteristics that generate this exuberant Nature are its warm climate, constant humidity, and the lack of dry seasons and of changing climate. These environmental conditions make the area a sort of giant greenhouse. This is a completely green, stubborn and many a times, impenetrable forest. 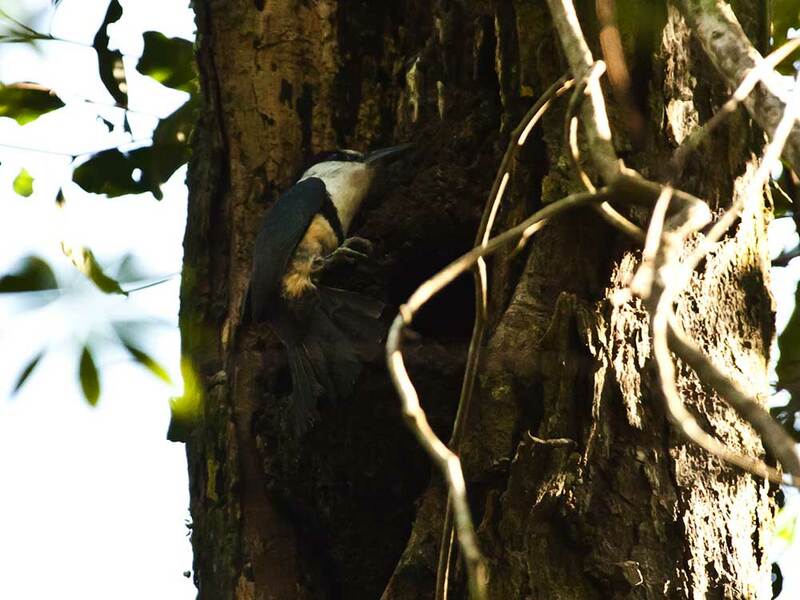 The forest structure becomes apparent in its different plant strata, which provide more than 320 bird species listed in Yacutinga with shelter, food and reproduction sites. The highest Forest stratum, which reaches 30 meters in height, includes adult trees that form an uninterrupted roof of ramifications and dense foliage. This is the stratum that filters and administers the right amount of sunlight to the lower strata. The smallest trees, between 3 and 10 meters high, make up to the so-called intermediate stratum. This layer is characterized by its discontinuous canopy, presence of young trees that will renew the forest, several fruit trees, bamboos and arborescent ferns. The lowest stratum, up to 3 meters from the ground, receives little sunlight. Broad-leafed grasses, a large number of smaller ferns, and non-woody plants like begonias are abundant. This vegetal group covers and dresses the forest ground. Other characteristics of this forest are the presence of two palm species, Pindo (Syagrumromanzoffianum) and Palmetto (Euterpeedulis), the latter being endangered; there are also a number of bamboos that proliferate between the low and the intermediate strata of the forest. TacuaraGuazú (Guaduaangustifolia), with its 30 meters in height, is outstanding. 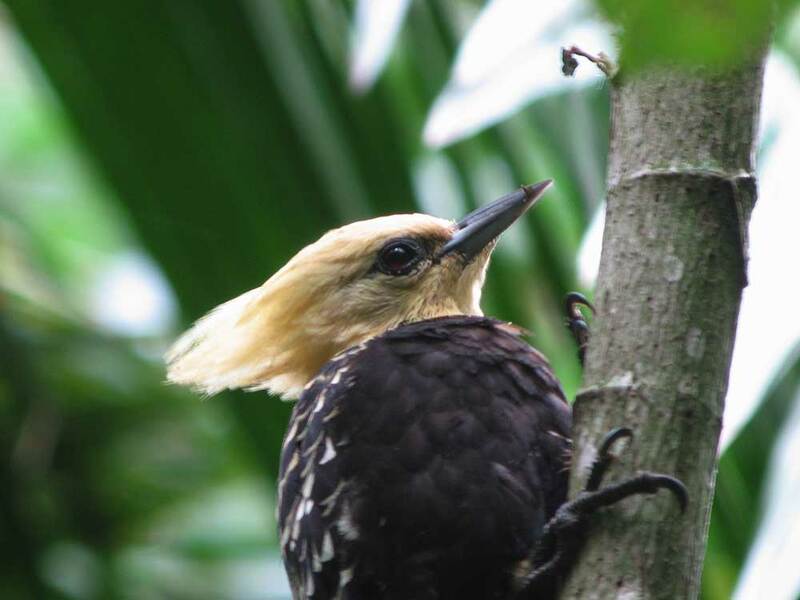 It is important for the bird-watcher to know the tree species of the forest that he is visiting, since most bird species find shelter to nest in certain trees; frugivorous species, for example, concentrate at certain time and on certain trees in a daily search for food, mainly wild fruits. 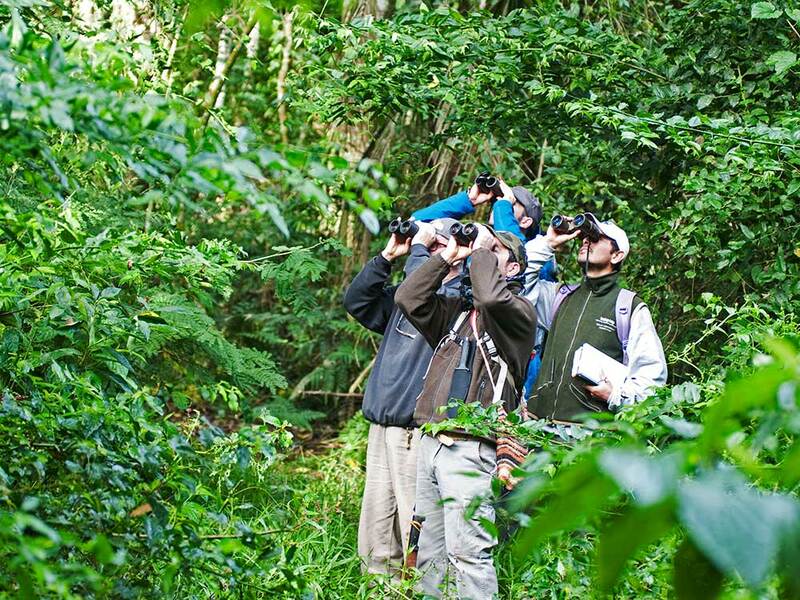 Knowing the ecology of forest trees and how to identify them is an essential tool for all bird watchers. Bird abundance in this natural district is relevant. 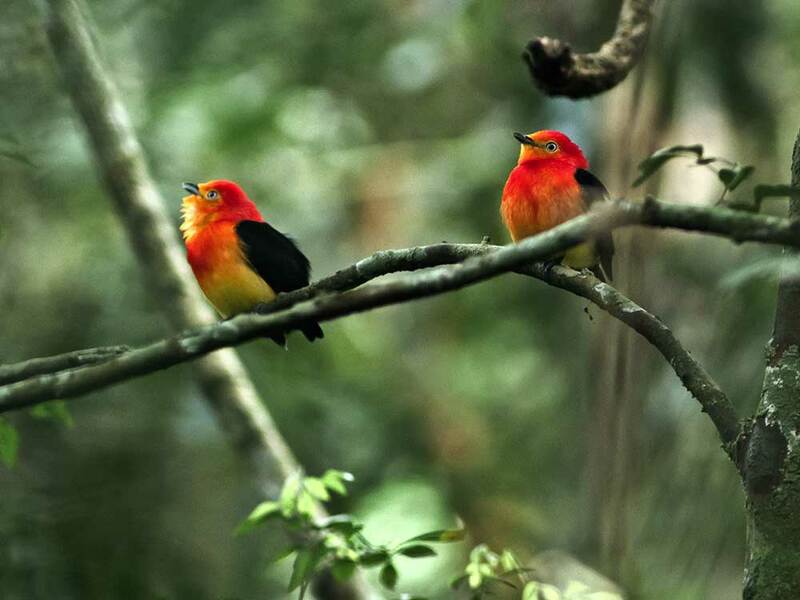 The forest’s beauty is enhanced by birds’ songs and colors. 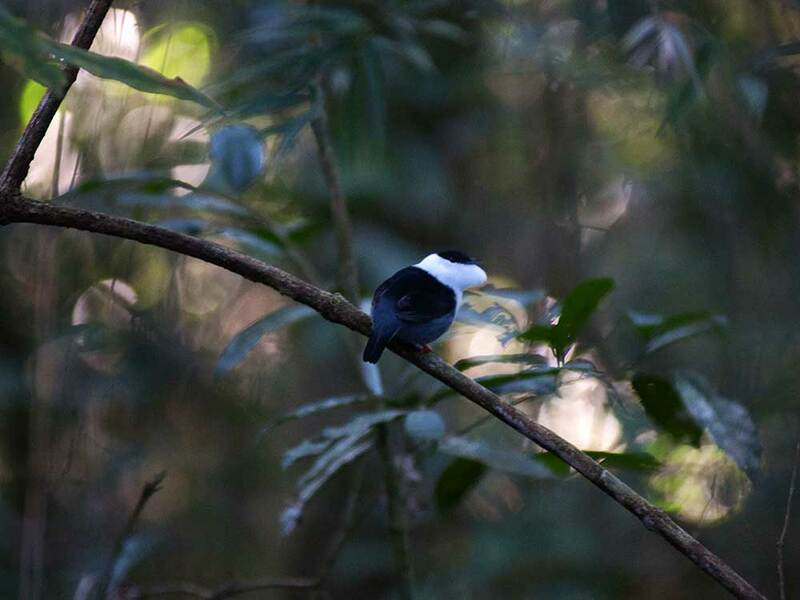 Some birds inhabiting the high forest stratum are Rufous-thighed Kite, Rusty-margined Guan, White-eyed Parakeet, Reddish-bellied Parakeet, Spot-billed Toucanet, Saffron Toucanet and White-necked Puffbird. Also, Yellow-fronted, Lineated and White-spotted Woodpeckers, Ochre-breasted Foliage -Gleaner, Spot-backed Antshrike, Rufous-winged Antwren, Streak-capped Antwren, Black-tailed and Black-crowned Tityra, Long-tailed Tyrant, Streaked and Boat-billed Flycatchers, Sirystes, Short-crested Flycatcher, Yellow-olive Flycatcher, Greenish and Gray Elaenia, Southern-beardless Tyrannulet, Greenish Tyrannulet, Pale-breasted Thrush, Eastern-slaty Thrush, Cream-bellied Gnatcatcher, Rufous-crowned Greenlet, Chestnut-vented Conebill, Blue Dacnis and Guira Tanager. 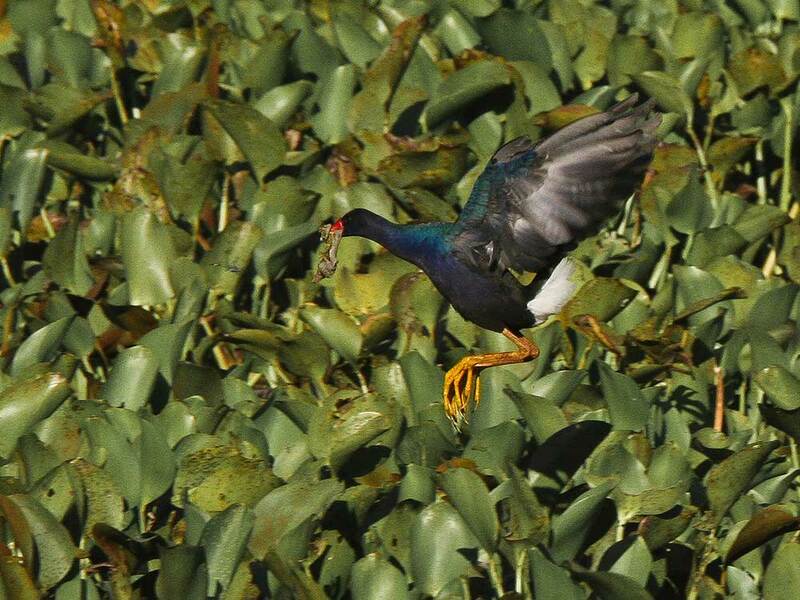 In the area of the central marsh in the Reserve, we can see Limpkin, Muscovy Duck, Green Ibis at twilight, always an Everglade Kite, and Wattled Jacana. Also, Slaty-breasted Wood Rails often flying across the roads of these area. When navigating down the San Francisco Stream, we go through its galleries to identify Rufescent-Tiger Heron, the elusive Sungrebe, Greater Ani, Swallow-tailed Manakin, White-browed Foliage-Gleaner, White-winged Swallow and River Warbler. Along the interpretation trails in Yacutinga Lodge, it is common to observe Brown Tinamou, a Solitary Tinamou at times, Gray-fronted Dove, if we are lucky, a Pavonine Cuckoo; we can discover an Ochre collared Piculet, Gray-bellied Spinetail, Rufous-breasted Leafscraper, Rufous-capped Spinetail, Large-tailed Antshrike, Tufted Antshrike, White-shouldered Fire-eye, Short-tailed Antthrush can always be heard, RufousGnateater, White-throated Spadebill, Fuscous Flycatcher, Red-crowned Ant-Tanager and Chestnut-headed Tanager. 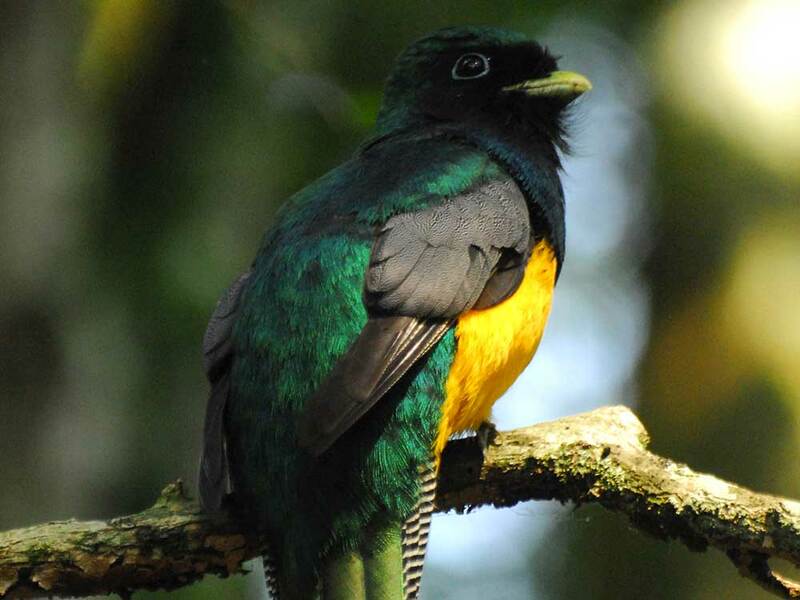 In the intermediate stratum, characterized by vines and epiphytes, we can observe Black-throated Trogon, Surucua Trogon, RufousMotmot, una pair of Green-barred Woodpecker, the magnificent Blond-crested Woodpecker, White-browed Woodpecker, and the White throated Woodcreeper, PlanaltoWoodcreeper, Plain-winged Woodcreeper and Lesser Woodcreeper. 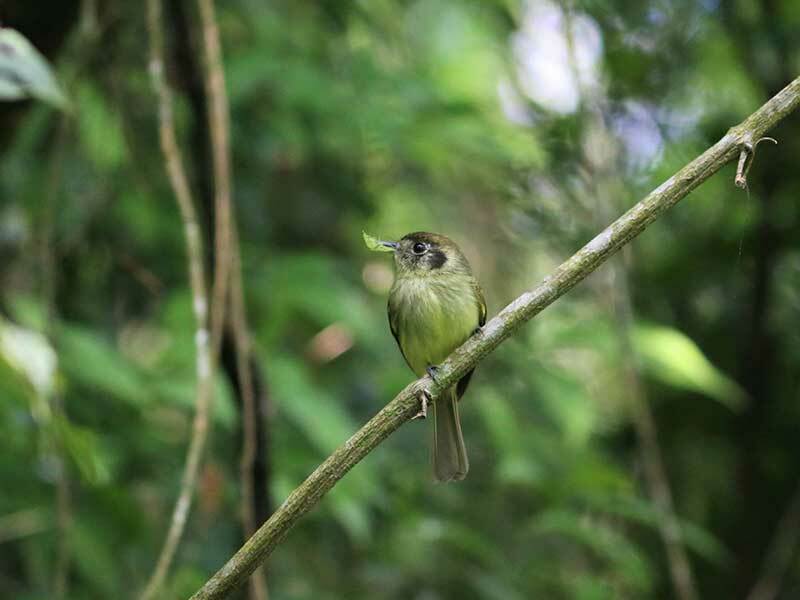 Plain Xenops, Plain Antvireo, Bertoni´sAntbird, Chestnut-crowned Becard, Green-backed Becard, and the rest of White-bearded Manakin, Band-tailed Manakin, Wing-barred Manakin.The Yellow Tyrannulet, Euler´s Flycatcher, Ochre-faced Tody-Tyrant, Eared Pygmy-Tyrant and Sepia-capped Flycatcher.The White-necked Thrush, Black-goggled Tanager, Ruby-crowned Tanager, Green-winged Saltator and Ultramarine Grosbeak. 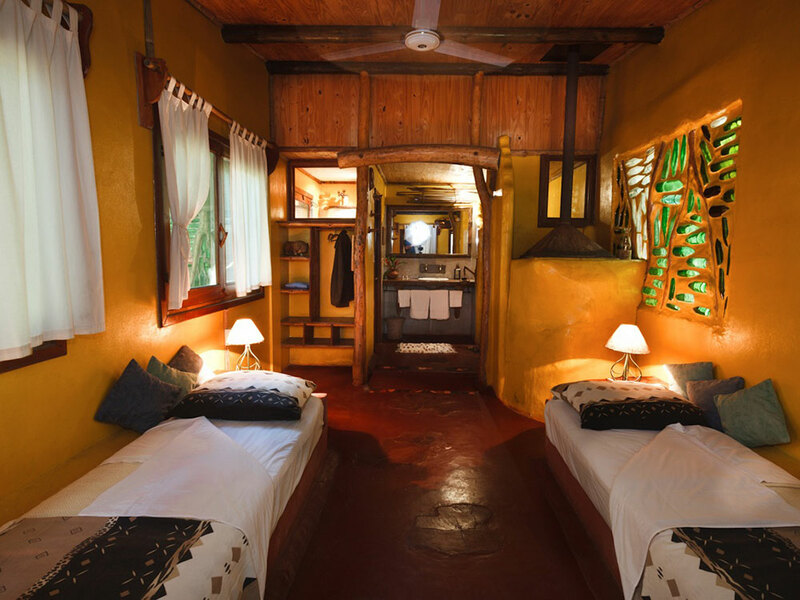 The garden areas surrounding the lodge are ideal to comfortably observe Blue-winged Parrotlet, Scaly headed Parrot, Red-capped Parrot, Scale-throated Hermit. 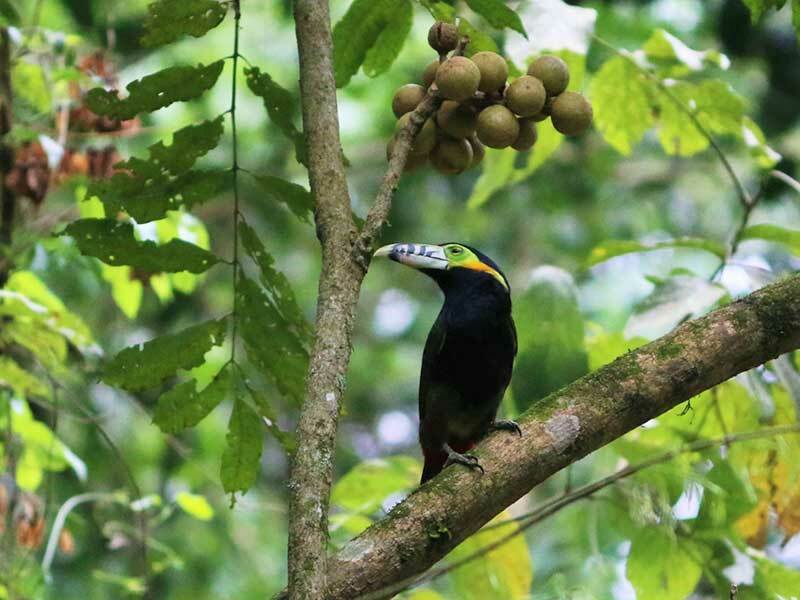 Violet-capped Woodnymph, Chestnut-eared Aracari, Plush-crested Jay, some Swallow-Tanagers. 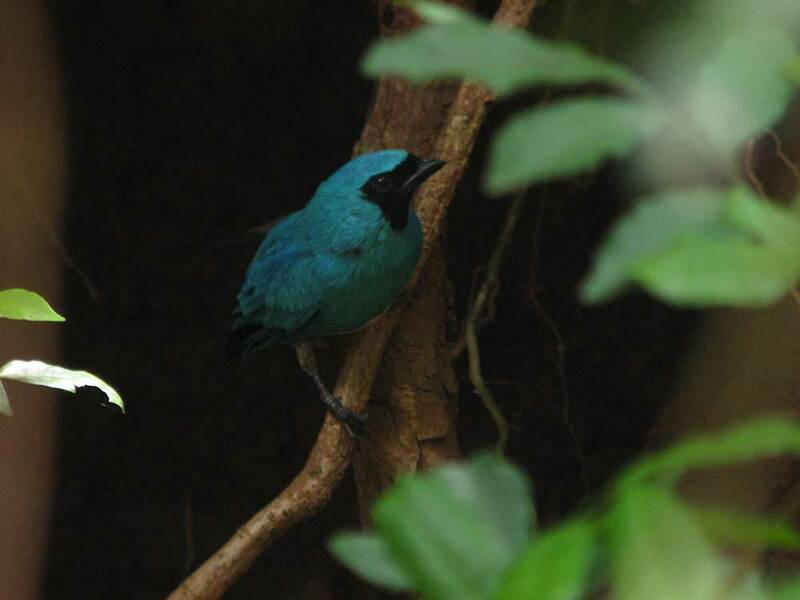 We can make a close observation of Purple-throated Euphonia and the Chestnut-bellied Euphonia, Magpie Tanager, Hepatic Tanager, the noisy Red-rumped Caciques and the Epaulet Orioles. When floating down the waters of the Iguazú River, we can see Black-collared Swallow and White-winged Swallow, Herons, Kingfishers and probably some birds of prey. 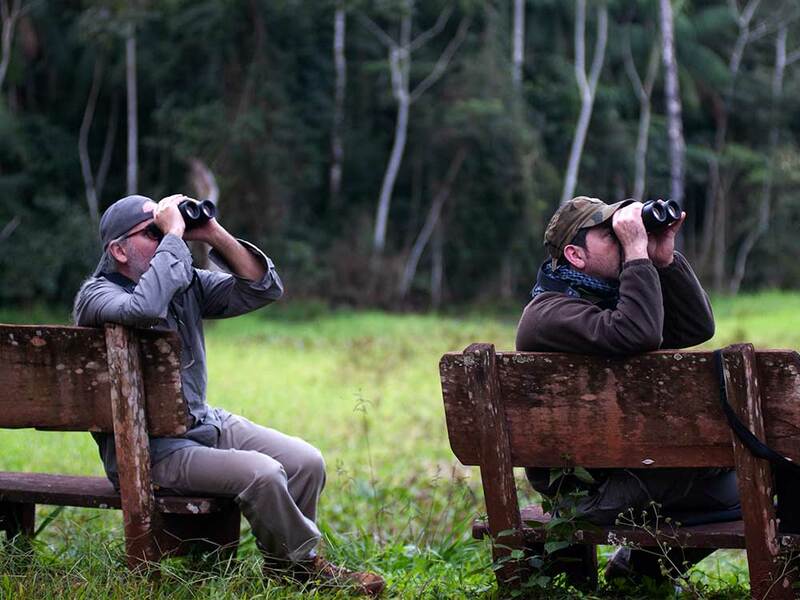 In the plantations and grassland areas near Yacutinga Wildlife Reserve, we can observe TataupaTinamou and Small-billed Tinamou, Plumbeous Kite, Pale-vented and Picazuro Pigeons, Striped Cuckoo, White-eared Puffbird, Tawny-crowned Pygmy-Tyrant, Yellow-bellied Elaenia and the impressive Red-crested Finch. Maybe we can enjoy the high flight of a King Vulture, surely Turkey Vulture and Black Vulture. Also, Great Dusky Swift, Ashy-tailed Swift; in summertime a group of Swallow tailed Kites, and some eagles. 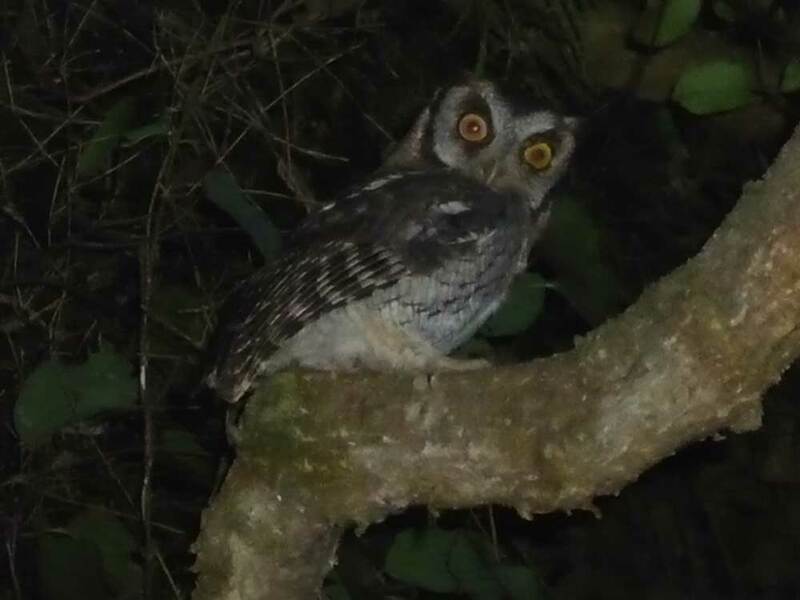 Night hours are ideal for observation walks with powerful lights to discover Black-banded Owl, Rusty barred Owl and Mottled Owl. 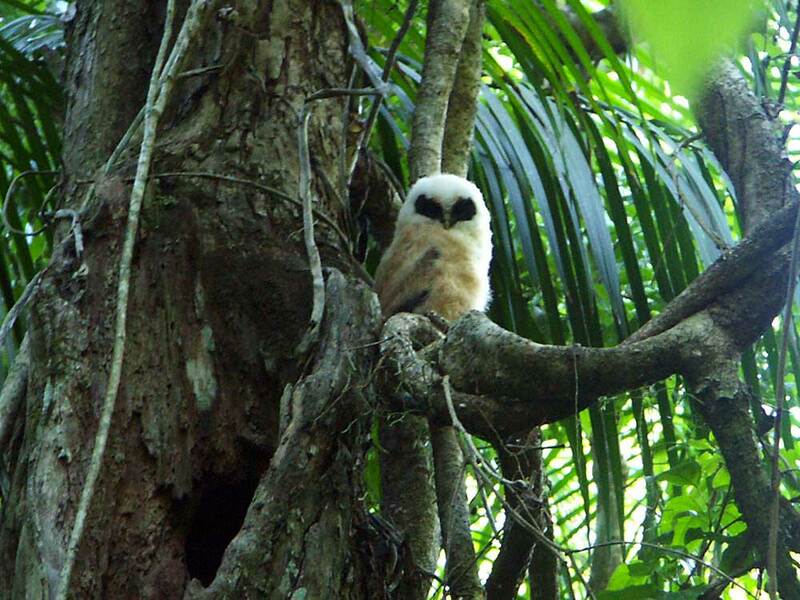 Tropical Screech-Owl, Ferruginous Pygmy-Owl.Semicollared Nighthawk, Pauraque and Common Potoo. 14.30hs. Departure from Puerto Iguazu, through the Iguassu National Park. 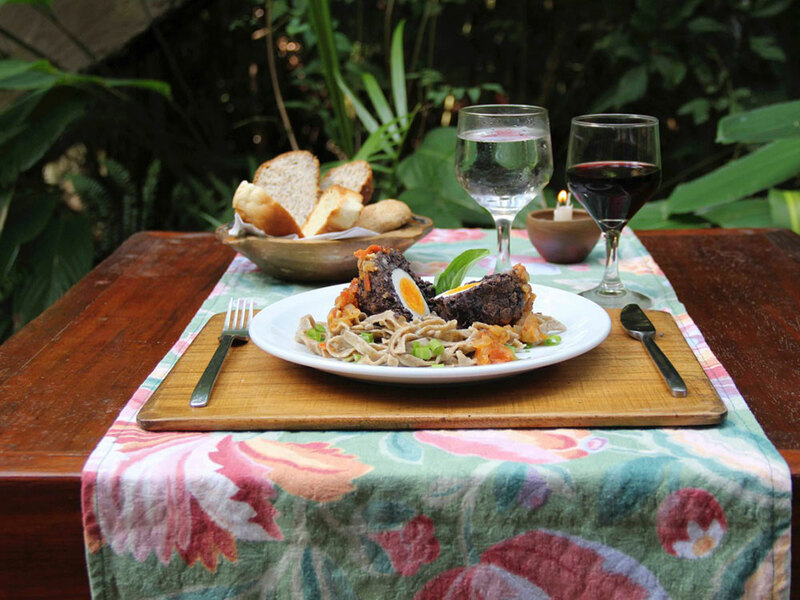 The landscape is very picturesque , characterized by its reddish soil, the various shades of greens , the colonist and their Yerba Mate farms. Arrival at the Lodge, welcome and room distribution. At sunset, observation walk at the Lodge nearby area. After breakfast, observation walk along the Refuge main trail and its central marsh. 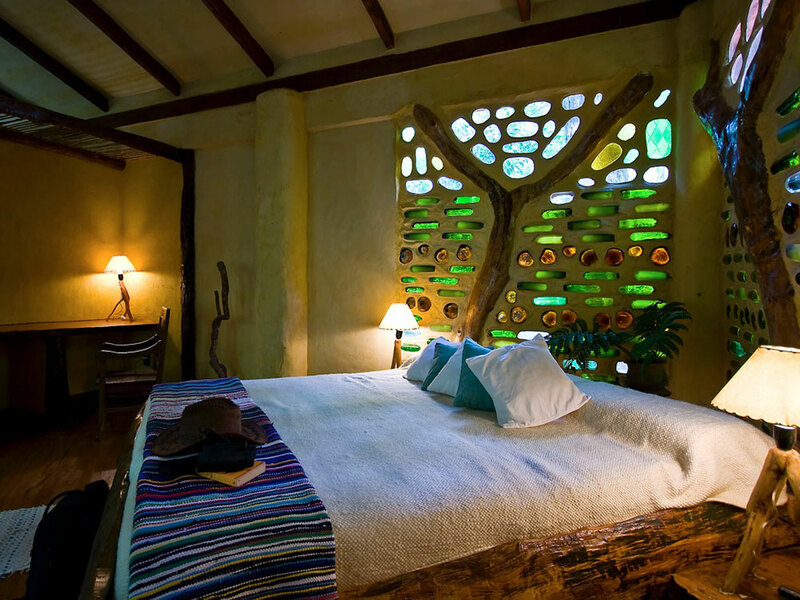 In the afternoon we will go along the Guazú trail, and through the forest for some kilometers. 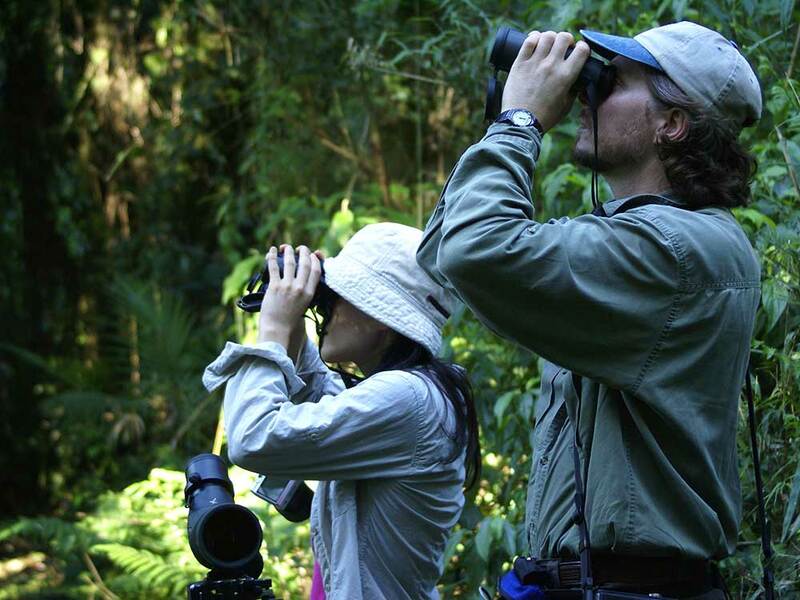 Full day birding at the central area of the Yacutinga Reserve, swampy areas, tall forest, and grasslands are some of the ambiences we will explore. 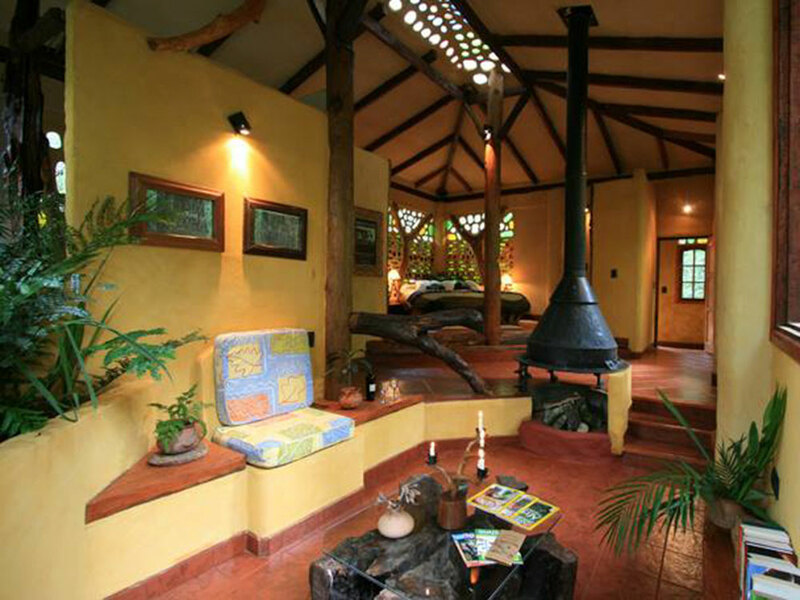 Back to the Lodge through the Pipra´s Trail. 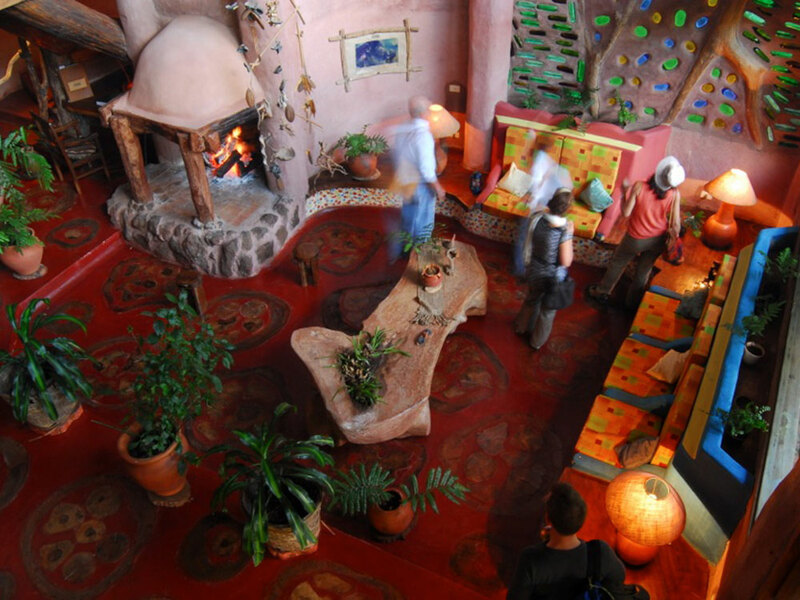 In the afternoon we will make observations along Chico Méndes and Timbo trails. 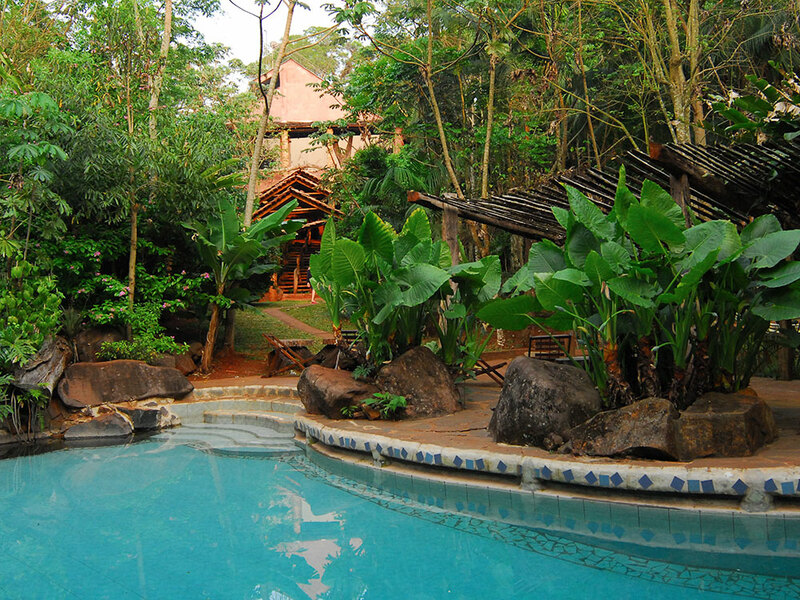 In the morning we will paddle down the upper Iguazú river and one of its tributaries, the San Francisco stream. By the end of the morning we will walk the Tapir trail from East to West getting in the area of the Strungle Fig trail. In the afternoon we will walk along Palo Rosa trail to get to the marsh area at sunset. Early in the morning we will make our last observation walk along Manacus East trail. After that, we will pack. Please note that the described itinerary may vary due to bird activity and climate.